Mary Gersema is a co-founder, and both the President and Chief Operations Officer at Employers Resource Management Company, which specializes in outsourcing employee administration including human resources, payroll and health benefits. With an extensive background in administrative operations, employee training, and accounting, Mrs. Gersema is responsible for the professional employees at Employers Resource who are ultimately responsible for customer satisfaction and loyalty. With more than 20 years in the Employee Administration industry, Mary is a Certified Payroll Professional and also holds a certification from the Society of Human Resource Management as an HR Generalist. Her commitment to exceptional service is a foundational principle she established and has resulted in long-term relationships with clients across the country. As pioneers of the PEO concept, she and her husband George are recognized within the industry as having helped direct the development of the entire industry. Mary has spoken at national conferences, was the co-founder of the PayPlus Users Group, and has helped provide expertise and guidance to improve the new generation of software technology that is essential to the industry. https://www.employersresource.com/wp-content/uploads/2017/12/Merry-Christmas-from-Employers-Resource-featured.png 300 775 Mary Gersema https://www.employersresource.com/wp-content/uploads/2016/07/employers-resource-national-PEO-strength-local-service.png Mary Gersema2017-12-19 07:01:042017-12-15 13:18:31Merry Christmas from Employers Resource! 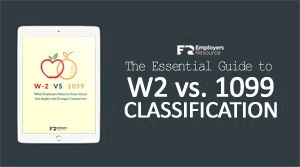 https://www.employersresource.com/wp-content/uploads/2017/07/Why_Does_Employee_Recognition_Matter_-_in_post_and_featured.png 300 775 Employers Resource https://www.employersresource.com/wp-content/uploads/2016/07/employers-resource-national-PEO-strength-local-service.png Employers Resource2017-07-31 07:01:022017-07-28 15:59:56Why Does Employee Recognition Matter?